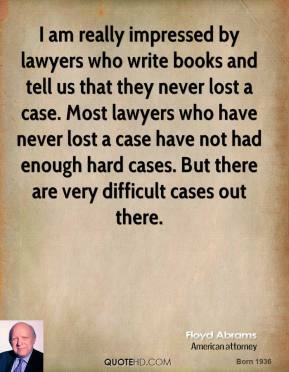 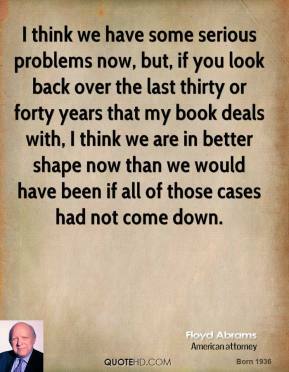 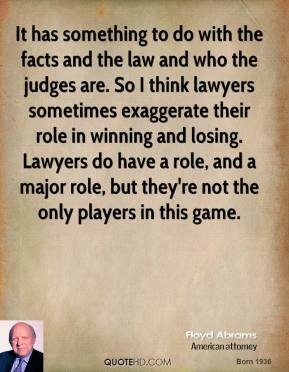 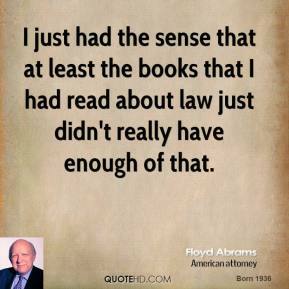 I just had the sense that at least the books that I had read about law just didn't really have enough of that. 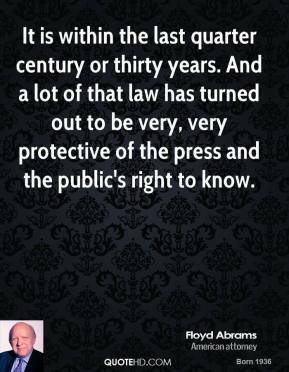 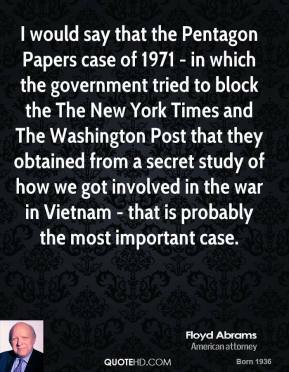 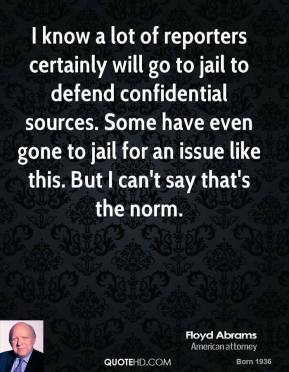 I know a lot of reporters certainly will go to jail to defend confidential sources. 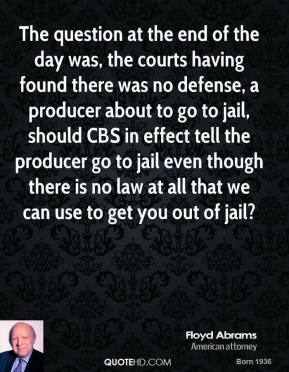 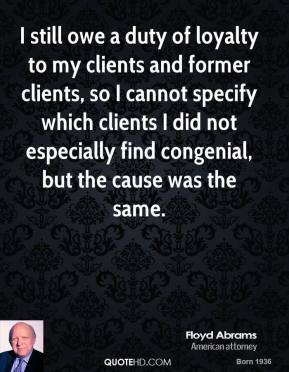 Some have even gone to jail for an issue like this. 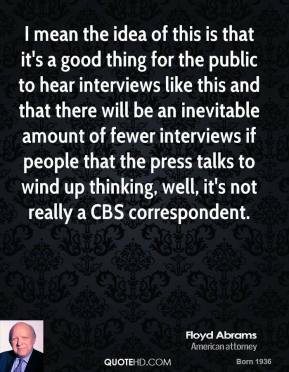 But I can't say that's the norm. 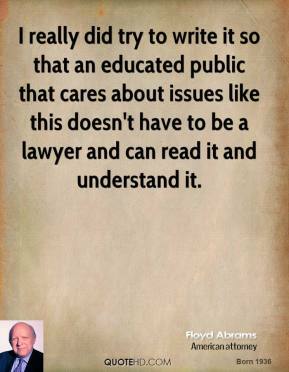 I really did try to write it so that an educated public that cares about issues like this doesn't have to be a lawyer and can read it and understand it. 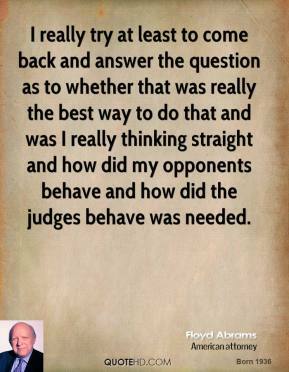 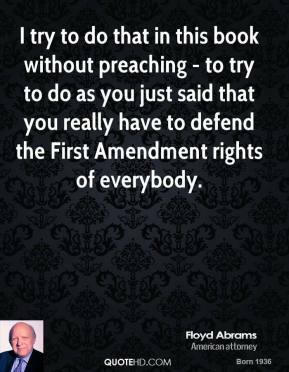 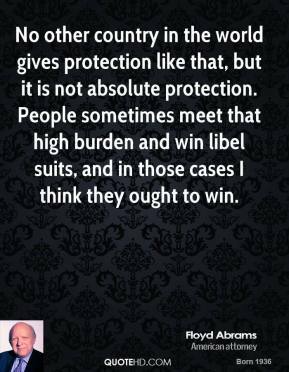 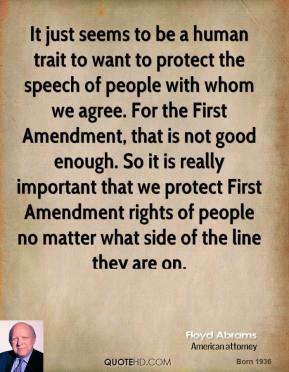 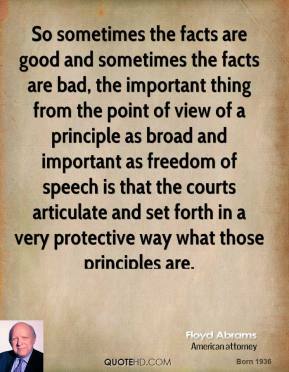 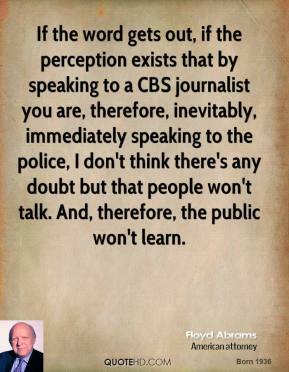 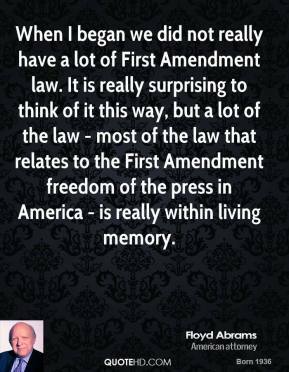 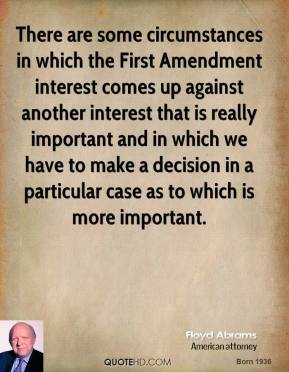 I try to do that in this book without preaching - to try to do as you just said that you really have to defend the First Amendment rights of everybody. 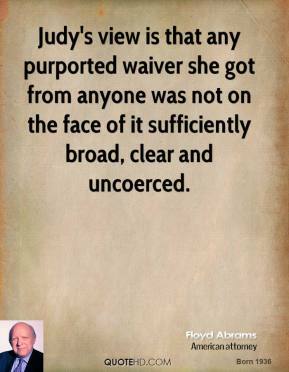 Judy's view is that any purported waiver she got from anyone was not on the face of it sufficiently broad, clear and uncoerced. 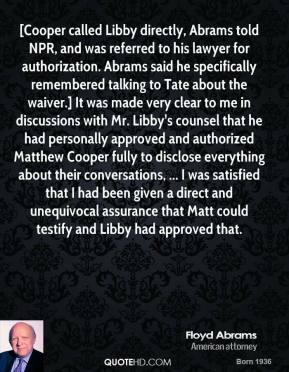 [Cooper called Libby directly, Abrams told NPR, and was referred to his lawyer for authorization. 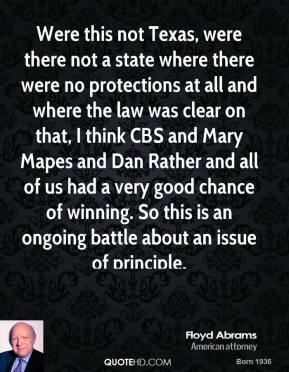 Abrams said he specifically remembered talking to Tate about the waiver.] 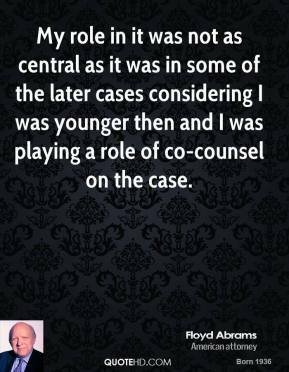 It was made very clear to me in discussions with Mr. Libby's counsel that he had personally approved and authorized Matthew Cooper fully to disclose everything about their conversations, ... 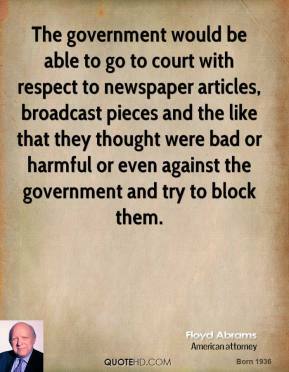 I was satisfied that I had been given a direct and unequivocal assurance that Matt could testify and Libby had approved that.